Experience the amazing sounds that surround us. 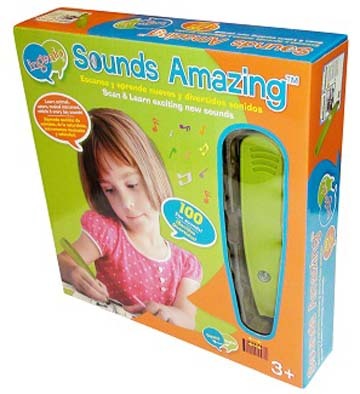 A fun way to discover 100 everyday sounds. 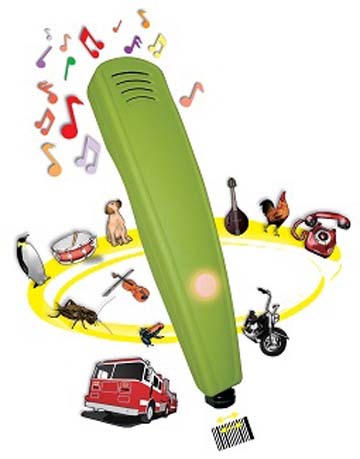 Children will be delighted to hear sounds that come to life when barcodes are scanned by using the Smart Pen. Crystal clear technology teaches animals, musical instruments, vehicles, machinery and nature sounds. The sounds are recorded in high fidelity and are very realistic. 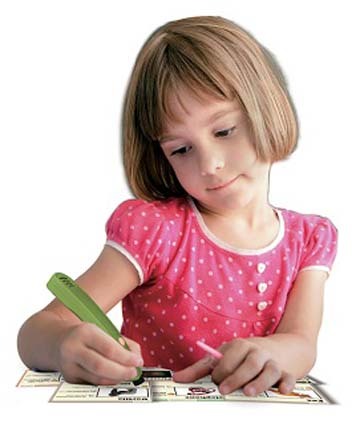 50 double sided learning cards are included for hours of learning fun. 50 colorfully illustrated cards reinforce learning by providing fun facts in English and Spanish.